Cambridge, United Kingdom – June 29, 2018 – Collabora Productivity, the driving force behind putting LibreOffice in the Cloud, is excited to announce a new release of its flagship enterprise-ready cloud document suite – Collabora Online 3.3, with new features and multiple improvements. What’s new in Collabora Online 3.3? We have significantly improved clipboard paste. 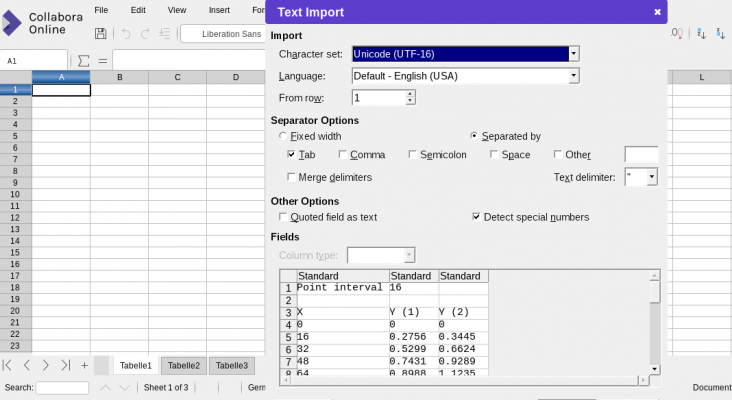 Now it preserves formatting, tables, images and more – you can copy from Collabora Office and paste to Collabora Online with ease. For tables, paste operation invokes the CSV (Comma Separated Values) import dialog in Calc, so you can easily decide how the CSV data should fit the cells. In Calc, it is possible to add Conditional formatting to your spreadsheet now. The Collabora Online was rendering conditional formatting properly already in the past, but now the users set icon sets directly online. We will add more types of Conditional formatting to the toolbar in the next version. We have created a border toolbar button in Calc, which makes it easier to draw cell borders. This functionality had been there already on the Border tab of the Format → Cells… dialog, and can still be used for fine-tuning the borders. New release of Collabora Online includes responsive design improvements: now our toolbars adapt more pleasantly to different mobile screen sizes. We have implemented several interactivity improvements in this release, and you will notice that the cursor behaves more pleasantly during movement or zoom. Additionally, we addressed some artifacts when you zoom the document for the first time. In Collabora Online 3.3 we have included a new option to anonymize document and user names in the logs. Also, we have removed many redundant warnings. We have added the ability to connect a remote socket to a server which can be used to administer and remotely monitor a collection of Collabora Online instances – useful for integration with existing cluster management software and for workload migration. We have done several translation fixes for context menus. Admin console CPU graph color labeling has been fixed. We avoided websocket leak when idle in Firefox. We improved our crash testing. We have removed distribution of development tools. We have renamed the existing conversion helper to loolconvert. Manual pages for installed binaries & scripts have been added.